1939 was a strong year for the Sears Modern Homes department. They sold about $7 million in houses ($117 million in today's dollars!). 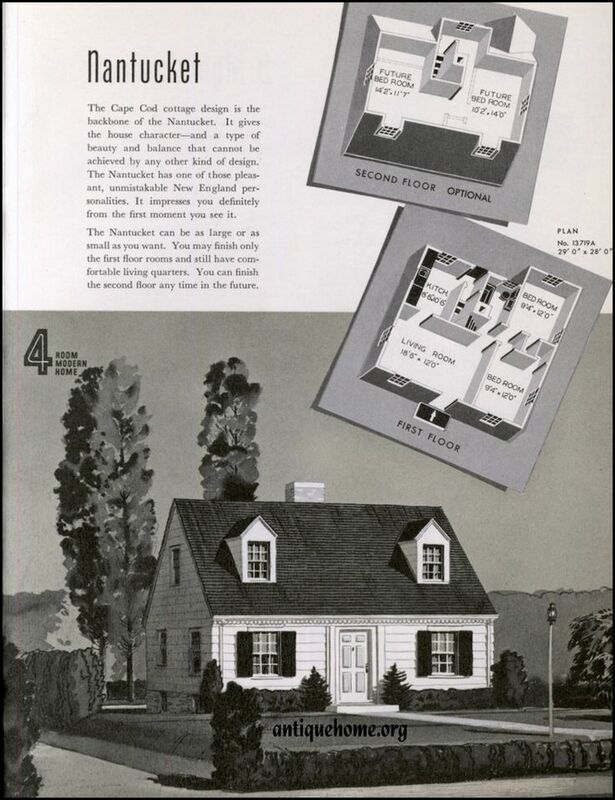 Part of the reason for this was the issuance of a streamlined Modern Homes catalog in 1939. Sears eliminated many of the older styles and added 10 new "attractive, livable" models. The new logo in 1939. "A new Modern Homes catalog which, its sponsors believe, will be a bombshell in the mass housing industry, has just been issued. It is the product of many years of research into the requirements of modern living. It offers 54 small homes.... Done in both modern and period styles, the designs are geared to the most advanced refinements of architectural engineering." There are no shortcuts to find these houses. Testimonial letters from homeowners (sometimes with addresses) are an easy way to locate Sears houses. Unfortunately, after 1939, Sears had less print advertising and provided few updated testimonials about the newer models. There are no Sears mortgage records for the 1939 models. Sears used to offer financing for kit houses, and a search through grantor-grantee indexes can reveal the owners and locations of older Sears houses. However, after the Depression, Sears merely assisted customers in finding financing through FHA or private lenders so you won't find the name "Sears Roebuck" or one of their trustees in later mortgage records. Generic styling. Most of the 10 new models were modified Cape Cods or Modern Colonials and look like zillions of other houses built in the 1930's. 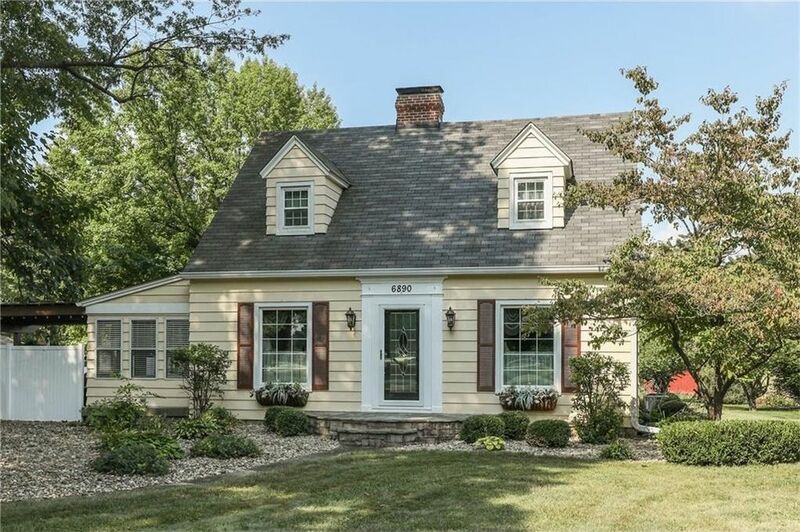 It's hard to identify these houses merely by sight. I have found a few of the Rare 10 models by searching newspaper archives. Last week I found one of the Rare 10 in Missouri using this approach--the Yates. 6110 North Main Street, Airport Drive, Missouri. 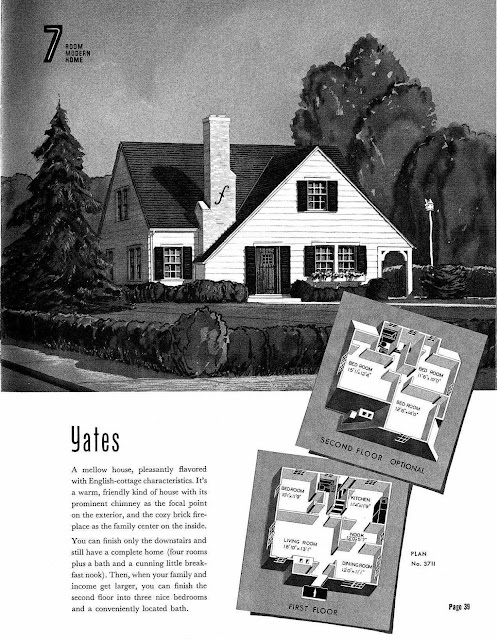 Sears Yates from the 1940 catalog. I uncovered an interview with the family that originally built this authenticated Sears Yates. The first owner was Bernard McAvoy, Sr. He was a store manager at Sears Roebuck and wanted to buy a house for his wife, Edith, and their seven children. Bernard, retiring from his career at Sears Roebuck in 1951. In 1940 he purchased the Yates from Sears and hired a contractor to construct it. (Sears would help customers secure the services of local builders.) Edith remembered they made changes to the standard design, such as adding some porches. The blueprints remain in the house. The house in 1942, shortly after it was built. There's one of the porches that the McAvoys requested. The dormers were original and I suppose they needed a fully built out second floor to accommodate seven kids! The McAvoys owned the house until 1971, and there have been only two other owners since then. If you own one of the Rare 10, please email me! In response to this post, Geoff Wyatt contacted me and said he owned a Sears Yates in New Jersey. Thanks so much to Geoff for submitting these photos. 200 W. Prospect St., Hackettstown, NJ. Photo courtesy of Geoff Wyatt. Another shot of the Yates. It is a perfect match to the catalog illustration. Photo courtesy of Geoff Wyatt. Geoff wrote in an email, "We were told it was a Sears home by the home inspector. Then we started researching and finally found our house in the catalog." His house is an authenticated Sears Yates. He found a joist in the basement marked with "3711A", which was the Sears model number for the Yates. 3711A. Photo courtesy of Geoff Wyatt. Random stamped lumber proves the house is a kit. Photo courtesy of Geoff Wyatt. Wonderful research! What a find :) I love this house, and the photos and background you were able to dig up. Thanks, Judith. The 1942 photo was a lucky find! We have a Yates in Hampton VA. The house was built in 1938, the year before the Yates was made available to order. I am told it was built by someone connected to Sears as a prototype before going to market. Hi, Randall! The 1939 Modern Homes catalog came out in fall 1938. So the Yates were definitely sold that year.